Carzu is part of one of the UK’s leading car finance specialist and has access to many lenders and motor manufacturers. 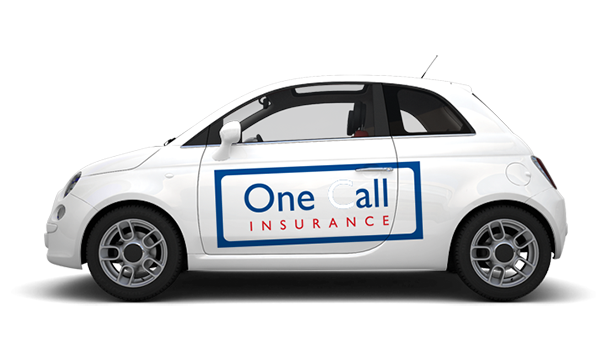 This means they can offer personal contract purchase, hire purchase, personal contract hire and business contract deals. Some consumers may have already made their decision to purchase a car and are investigating the best finance deals. Others may be finding out what finance is available to them, giving them a better idea of what they can afford. 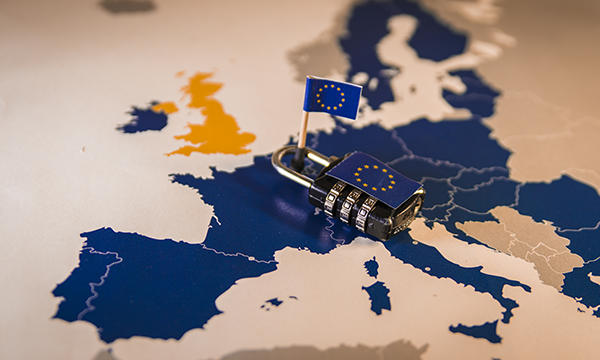 Whichever way they are looking into, individuals can be wary of who they share their personal data with as a lot of in-depth information has to be provided to secure car finance, including date of birth, income, and bank details etc. 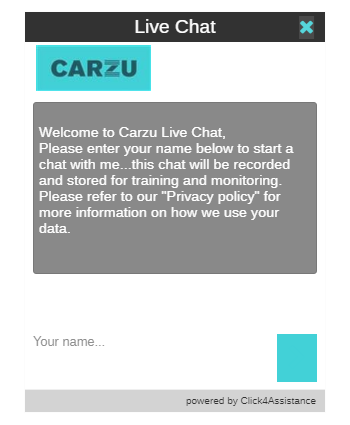 To help overcome this apprehension and encourage consumers to enquire, Carzu added live chat software to their website. This allows individuals to start the chat simply with their first name, as they feel more confident throughout the conversation they can then share more information about themselves. 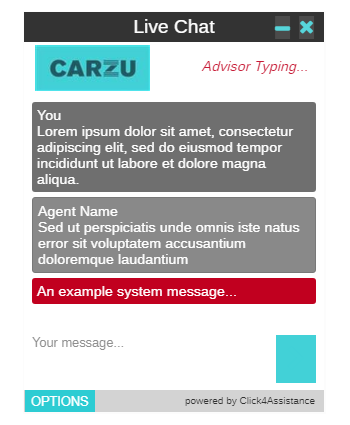 Throughout the chat journey, the buttons and windows have be designed to strongly represent the company and website branding, providing a level of confidence to the visitor they are chatting directly with Carzu’s advisors rather than a third party. The chat button matched other call to action buttons available across the website. Having this consistency throughout helps the visitor subconsciously identify that they should click it. Once the chat button is selected a prechat form is presented. The design displays to imitate a chat message being sent through, therefore appears to the consumer as if they are already connected to the company and just need to enter their name to continue into chat. If a visitor enters chat via the Proactive Invitation - an image that appears after a certain amount of time and / or on a specific page prompting the individual to start a chat, this has also been designed in the same manner as the prechat form displaying their important message before connecting a visitor to a representative. Once in chat, the visitor has plenty of space to view the chat transcript and to compose their response. This has been achieved by using an options button to contain additional functionality such as mute, email transcript, and real time ratings etc. instead of a toolbar that is more commonly used in chat windows; which ultimately helps to provide a positive user experience. 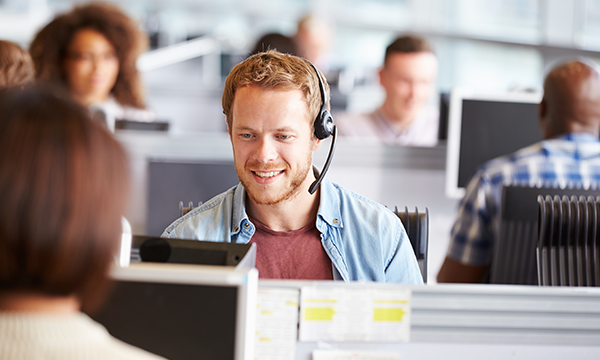 A short survey is provided after chat to receive instant feedback regarding the visitor’s experience allowing the company to monitor the service, ensuring their operators are performing as expected and identify any areas for improvement. It also gives the enquirer another chance to request the chat transcript email in case they didn’t whilst the conversation was taking place. 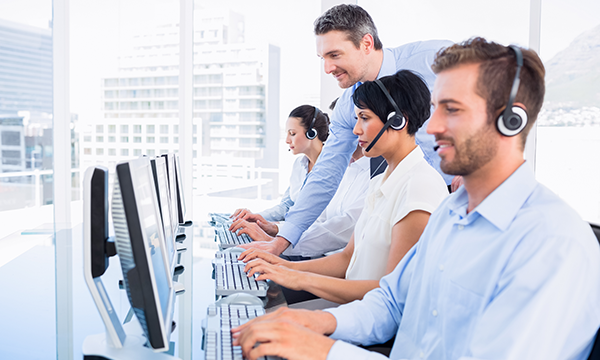 Click4Assistance has been supplying communication channels for over 10 years and is the UK’s best live chat provider. Our team are experienced and knowledgeable in all types of requirements, from SME to large corporate organisations with multiple departments. For more information on how live chat can fit seamlessly into your company’s website, contact us on 01268 524628 or email theteam@click4assistance.co.uk.